Title 31, Chapter 3105 of the Ohio Revised Code gives the court of common pleas in each county in the state the authority to grant a divorce on the grounds of desertion based on the willful absence of the adverse party for one year. This is not the same thing as a voluntary 12-month separation between consenting spouses. Similarly, unintentional abandonment due to active military service, illness or other circumstance beyond the control of the absent spouse does not constitute willful desertion of a marriage. Willful desertion means that one spouse has chosen to discontinue living as husband and wife, in effect physically leaving the other spouse. To get a divorce in Ohio based on willful desertion, you must be able to show that your spouse has been absent from the marital residence for a continuous one-year period before filing for divorce. While you may not be able to speculate on your spouse’s reason for leaving, you should expect to demonstrate that you did not consent to, or provoke, the departure and that there appears to be no intention to return on the part of your spouse. If your spouse has simply taken off without leaving a forwarding address or other contact information, your location attempts may serve as clear-cut evidence of willful desertion. 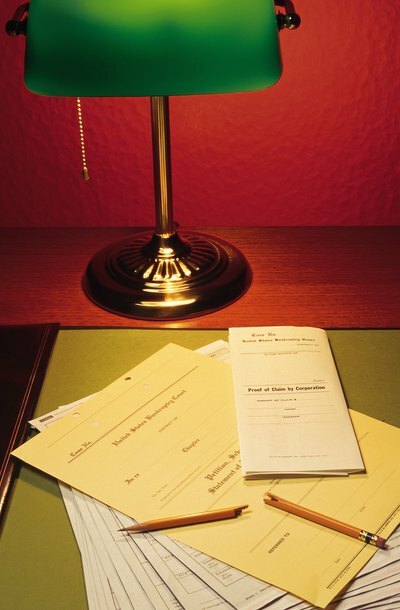 Normally, you would initiate a divorce action by serving a summons and complaint upon your spouse. However, if your spouse cannot be located, then publication of a notice of pendency of the action in a newspaper is used as a substitute method. The Ohio Rules of Civil Procedure permit notification by this method even if your spouse is currently a resident of Ohio but absent from the state, or has established residency in another state. Willful desertion by your spouse may make obtaining full custody of minor children easier but collecting child support more difficult, especially if you don’t know where your spouse is. Each county of Ohio maintains a child support enforcement unit that works with state agencies and other resources to track down absent parents and collect court-ordered child support payments, including interest on arrears.